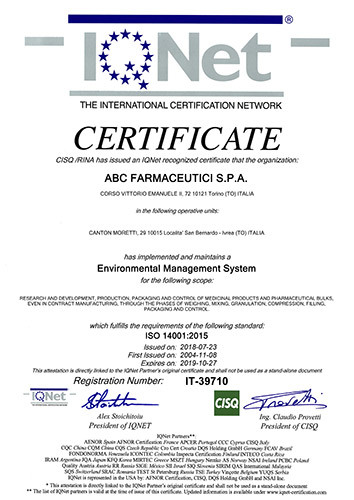 The aim of developing and putting into practice a Quality Management System is a strategy for ABC Farmaceutici S.p.A., as well as improving its services in order to avoid any kind of pollution in the surrounding environment. 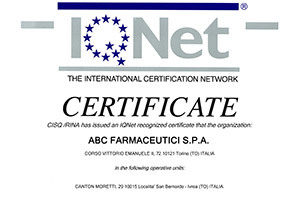 In order to reach this goal, ABC Farmaceutici has a detailed and multidisciplinary organization, as well as efficient facilities, updated plans of action and control, management procedures, plans of technological development, periodically quantified and analysed performance indicators and everything is supported by a methodical and effective training of the staff. 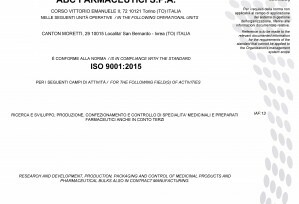 The aim of this quality management system, coordinated by the Direction Board together with the service of quality assurance, quality control and the services of production and maintenance, is: to organize the production and analysis processes of the pharmaceutical products also providing excellent and innovative services able to give a value added to the business relations between the Company and the Customer. Another aim is to improve the Customer's satisfaction, as well as improve the environmental performance, in compliance with the binding set of rules, sure that the protection of the environment is a value added of our company. These strategies are, at the same time, the instruments of our success. 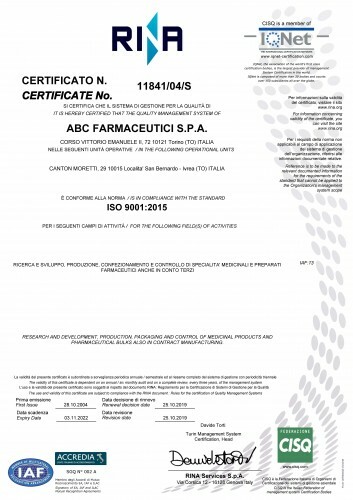 The Company operates in compliance with the GMP and GLP guide lines and it is certified with ISO 9001:2008 and ISO 14001:2004.